in a single click, cost-effective & result-driven solution! EasySMS is a bulk SMS platform that enables people to easily create and manage contact lists, send SMS to the list with customized content. 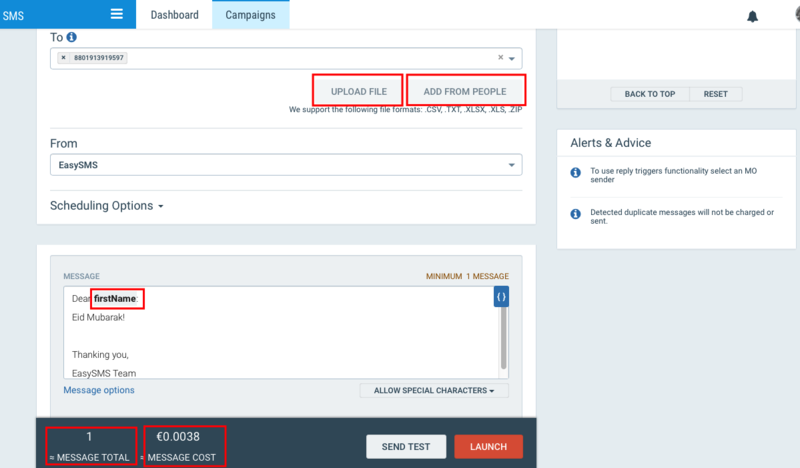 You can also easily calculate SMS campaign costs in our portal. 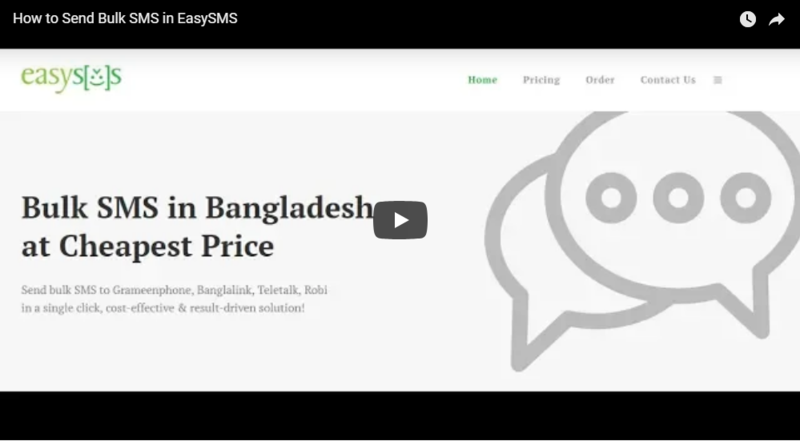 EasySMS provides custom portal so that you can easily create, update, and delete contact lists, send bulk SMS to selected lists with customized content like name of each contact in the message. 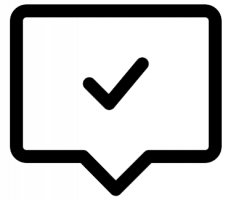 Our portal has the features to upload bulk contact at a time by CSV file. Besides, you can easily segment your contacts by uploaded data like gender, country, city, and so on. The portal also enables you to use tags for each segment or create custom tags. You can easily choose people from contact list or selected contact lists or upload people when running an SMS campaign. The portal allows you to use custom fields that you added when uploaded contact lists. You can also know total number of SMS and total probable cost in the same panel.